The uniquely skilled place where paper meets innovative design is where you'll find Paperself. Launched in 2009 by Chunwei Liao, Paperself is a collaborative effort that transcends traditions and looks to the future with its contemporary design. Each Paperself product is teemed with creation, experimentation and the realisation of ideas. 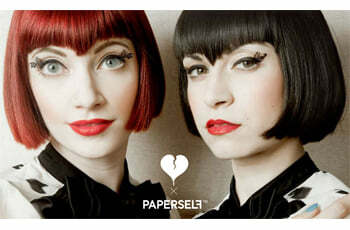 Their newest venture is Paperself Eyelashes, a collection of whimsical, intricately cut designs that draw inspiration from both East and West. From Peonies to Peacock, Under The Sea to Deer & Butterfly, each set of exceptional lashes will transform both your eyes and your perception of paper.